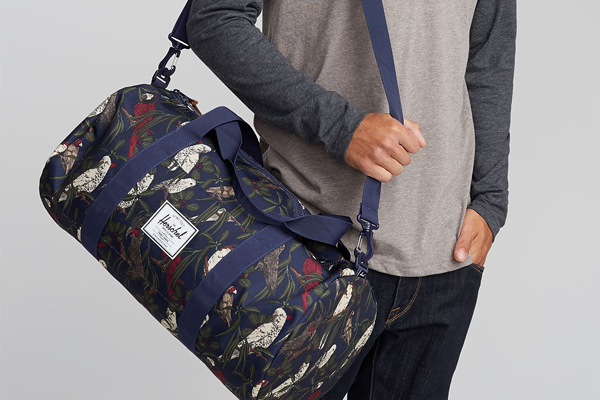 Canadian-owned, Vancouver-based Herschel Supply Co. aims “to provide the everyday traveler with the perfect bags and accessories,” such as this Sutton mid-volume duffle, sold $64.99. Made of robust, 100% polyester fabric with a contrasting lining, the convenient bag is available in a wide range of colours and patterns, from plain black to tropical designs such as Peacoat Parlour. Travel bag, Herschel Supply Co.